In my experience, downstream external systems–like a performance system–often reveal issues in the accounting data that standard accounting audits don’t catch. Asset setup errors, transaction data entry errors, and missing or late dividend payments are just a few examples. Some of these issues need to be corrected in the accounting system. In those cases, First Rate Service Bureau sets up communications with the client so they can pass them to the trust operations group for correction. There are other issues that impact only performance, such as moving securities between portfolios using the original security carry value, coordinating the posting of capital gains dividends with the price change at the end of the year, and the handling of spin-off assets when the new asset is in another performance segment. When the performance is embedded within the accounting system, there may be limited opportunities to correct these errors to produce proper performance. Therefore, it’s important to consider the relative value of proper performance within an outside system in comparison to the perceived value of having performance embedded in the accounting system. First Rate’s position is that it’s more valuable to have this data outside the accounting system so these performance-only data issues can be properly addressed. Units Out of Balance (UOOB) – Balances for beginning and ending units for all positions are reconciled with all transactions that impact units. Units Out of Balance can be an indicator of a missing trade, missing transaction code, or an improperly classified transaction code. It could also be an old asset changing its identifier with no transaction that removes the old identifier and bringing in the new identifier. That typically isn’t necessary for accounting, but it is for security level performance. Cash Out of Balance (COOB) – Balances for beginning and ending cash positions are reconciled with transactions that impact cash. Cash Out of Balance can be indicator of a missing transaction, missing transaction codes, or an improper performance impact defined for a transaction code. No Transaction Code – Client has passed a new transaction code that has no performance effects defined. Sector Change Audit – Finds holdings moving from one performance sector to another. Client confirms that these changes are intended and they are reversed if they aren’t intended. No Sector Audit – Finds holdings that have no sectors assigned and therefore aren’t impacting performance as they should. Asset Summary Review – Displays detailed asset-level data for selected portfolios and dates, including more than a dozen linked audit reports, and looks for asset-level return issues such as different asset versus price returns, returns out of tolerance, missing prices, and so forth. Invalid Transaction Principal Report – Identifies Free Receipt (FR) and Free Delivery (FD) transactions with clients that may have pricing issues. 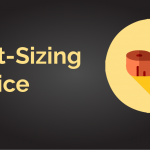 Price Warnings – First Rate uses the client’s prices exclusively as the pricing source. Reviewing the Price Warnings and Invalid Transaction Principal reports may reveal an invalid price for receipts/deliveries being valued, corporate actions, or a capital gains issue. These will often cause return exceptions or they may not be significant enough to impact the performance being reported. Rate Distribution – This presents bell curves of returns for each sector being reported. It is helpful at a macro level in setting that month’s return tolerances for the returns that should be reviewed more closely. Option 1 – All segment/category returns are reviewed for reasonableness. 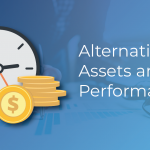 To implement this option, a benchmark must be assigned for each performance segment that adequately reflects the returns that should be expected and reflects the tolerance for each portfolio. The Rate Distribution report can give you an indication of the data quality without benchmarks. Option 2 – First Rate computes as many performance segments as desired and reviews them at a high level for reasonableness. Typically, these are the segments that are being reported to clients. An example might involve Total Equity, Total Fixed, Total Cash, and Cash Equivalents. Tolerance Packages – First Rate lets you create and assign tolerance packages to individual portfolios or portfolio groups based on investment objective. These packages establish an acceptable high and low return range for selected sectors, categories, and currencies relative to a benchmark or a flat return (i.e., no benchmark assigned). Portfolios with rates of return falling outside the established tolerance appear on the Rate Warnings report, allowing you to spot exceptions. This requires each portfolio’s investment objective to be passed to First Rate and appropriate benchmarks selected for processing. If this is not available, a default tolerance package will be applied. Having a team like First Rate’s Service Bureau to review these data points–and even work with you to create some unique reviews–has proved to be invaluable to our clients in developing confidence in their data. Because performance can be a direct reflection of the accounting data without telling the right story, we call it an art and not a science. You can trust the results because a knowledgeable team can help you explain the anomalies and the proper remediation, if necessary. Kate Baird, General Manager of Service Bureau, has been with First Rate since 1994. Baird is responsible for developing the business-process-as-service for First Rate’s full service clients.